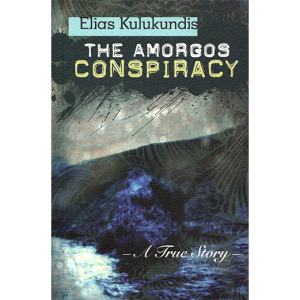 Elias true stories extend beyond books: He has written a play named “Three Brides for Kasos” and a screenplay with Christina Lazaridi based on “The Amorgos Conspiracy” titled “Man of the Hour”. Three Brides for Kasos tells the story of a honey-tongued bachelor named Dr. Nikolakis on the Greek island of Kasos at the end of the nineteenth century, who becomes engaged to two women on the same day. 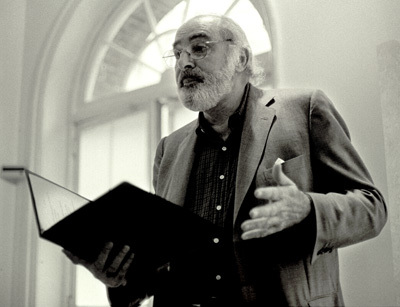 Elias Kulukundis reading his play at the Kouros Gallery, New York, March 2002. 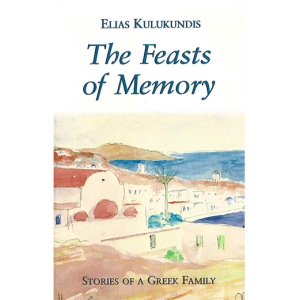 The story is a true one that Elias Kulukundis was told by his Uncle George, who is recreated as the narrator of the play, based on a chapter in The Feasts of Memory. Three Brides For Kasos was set to music by the Canadian composer Mark Kolt, and took second place in box office receipts out of 140 shows at the Winnipeg Fringe Festival of 2005. Two wealthy families vie for the hand of the desirable Doctor Nikolakis, who, although over thirty, is still under the influence of his mother. The Greek Island of Kasos was a matriarchal society, and at the end of nineteenth century, property was owned by the women and passed from mother to first daughter often by means of a dowry. If a girl did not get a dowry, as was the case with younger daughters, she did not get a husband. According to the custom, the man would not propose to the woman. Instead, male relations of the perspective bride would visit the groom on a moonless night, wearing socks of different colors to bring good luck. After some beating about the bush, they would ask the man if he would accept their daughter’s hand. They would already have a good indication that he would or they would not ask, since they would do anything to avoid being shamed. “Only a madman would decline to have her”, Dr. Nikolakis says to the Phillipides whose daughter he has known and admired since they were children. But that was before he knew at the very same moment, in another custom-dominated conversation, his mother was accepting a proposal from another family on his behalf. In the meantime, looming ahead is the final custom, the cruelest of all. On the Monday before the first Tuesday of Lent, those who expected to be married but were disappointed, will wake to find a giant paper padlock fasten to their door, signifying that their time for marriage is sealed away. Who will get the padlock? When the world does not live up to a young person’s expectations, has the world failed or is it the young person’s fault for expecting too much? “Man of the Hour” is the story of Aris Lukas, a young Greek-American from a business family. His father married a rich woman and remained a silent partner in a business run by his successful brother-in-law. 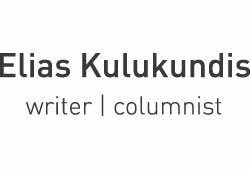 Aris has graduated from an Ivy league college, and when we first meet him, he is deeply involved with Eva Hecht, a Danish woman who is an activist for Amnesty International. Eva tries to encourage Aris to take a political stand against the Greek dictatorship of the 1960’s. At first, Aris resists, saying it is not his cause—he is not Greek enough. 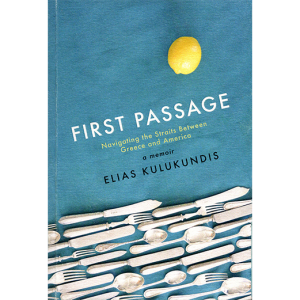 Eva takes him to a party where there are a lot of Greek exiles and activists. There Aris meets Clio Veremis, the daughter of a deposed Greek politician. Clio is telling a story to a group at the party, but during the telling, she is watching Aris. On the way home, Eva tells Aris that a politician at the party, Kostas Kanellis, has a plan to get a politician out of Greece to denounce the U.S. government for consenting to torture by the Greek military regime. Things become complicated when taking Eva’s encouragement to heart, Aris follows Clio Veremis to Athens to discover conditions for himself. While Aris and Clio are visiting, Clio’s father Nikos Veremis the politician is arrested, and a few days later he is exiled to the remote Aegean island of Amorgos. “We’ll do what’s necessary,” Aris says, and later he persuades Clio that at the moment what’s necessary is for her to marry him so that Clio can get a visa to leave Greece and enter the U.S. as a permanent resident. The story reaches its first turning point when Aris returns to New York and has to tell Eva that he has found the political figure she has been looking for, and by the way, the man has is the father of the Greek woman he has just married. That doesn’t end Aris’ and Eva’s involvement, however, for Eva lives for the cause, as young people did in the 1960s. Eva and Aris embark on a mission to rescue the politician from the island. 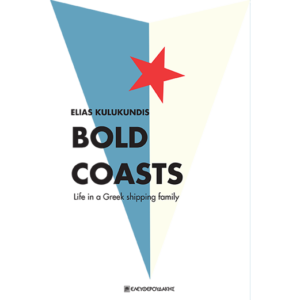 The plot develops on idyllic cruise among the Aegean islands against the background of the protest politics of the 1960’s with a nostalgia for the era whose icons are Bob Dylan, Janis Joplin,Van Morrison, and Jimi Hendrix. It is a political setting, but the film is a melodrama, the interaction of members of two very different Greek families. On the one hand, there is Clio Veremis and her devious politician father and the relationship between them that leads her to a sudden dependence on an attractive and enterprising Greek-American—Aris Lukas—she has known for hardly a month. And on the other, Aris’s relations with his own very different family, who have left Greece behind to live the country club life of an American suburb, particularly Aris’s relationship with his own father, who has never supported Aris’s ambitions but as Aris realizes, has never had support for aspirations of his own. When Aris experiences a reversal of fortunes, he receives unexpected emotional support from his father. It is the first time Aris had had emotional support from his father, and there are more surprises to come. When Aris meets Clio again, years after their divorce, Clio gives him a hint that helps him find his way forward. Aris expresses his appreciation. “You’ve always opened many doors of discovery,” he says. “Well, I’d be happy to think I did something for you,” says Clio. “I gave you the experience of an early first marriage without having to go through the pain of divorce. I suppose that’s something. Aris takes her hand. There is a warm friendship between them. And finally the last scene takes place at the opening ceremony at the new Athens University. At the conclusion of the President’s speech, Aris is in the front row of the huge audience. A brass band is playing. Spyros Lukas, his father is talking to the President of the Republic on the podium. The President shakes Aris’ father’s hand, against the background of the new university–built on the ruins of the old–the symbol of Greece’s hope for the future.